1. Heat oil in a wok and stir fry leeks. 2. 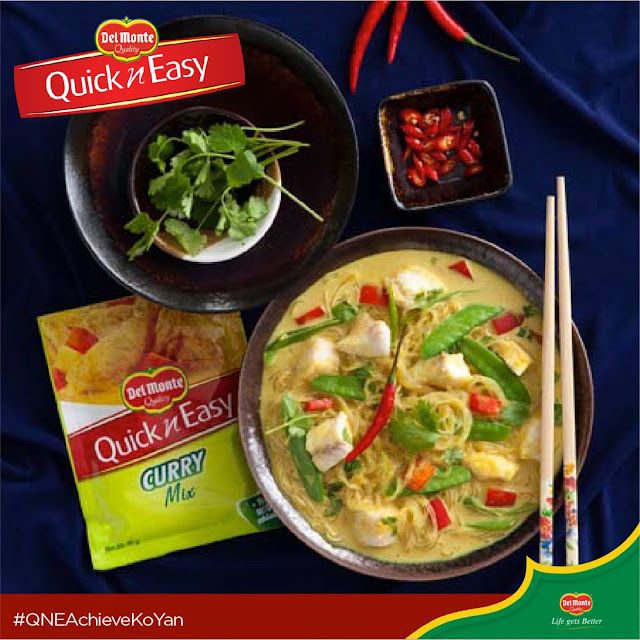 Add Del Monte Quick n’ Easy Curry Mix, evaporated milk and water to the pan then bring to a boil. 3. Add fish fillet, bell peppers, snow peas, wansuy and siling labuyo. Season with salt. Simmer for 3 minutes. Add in vermicelli. Serve.